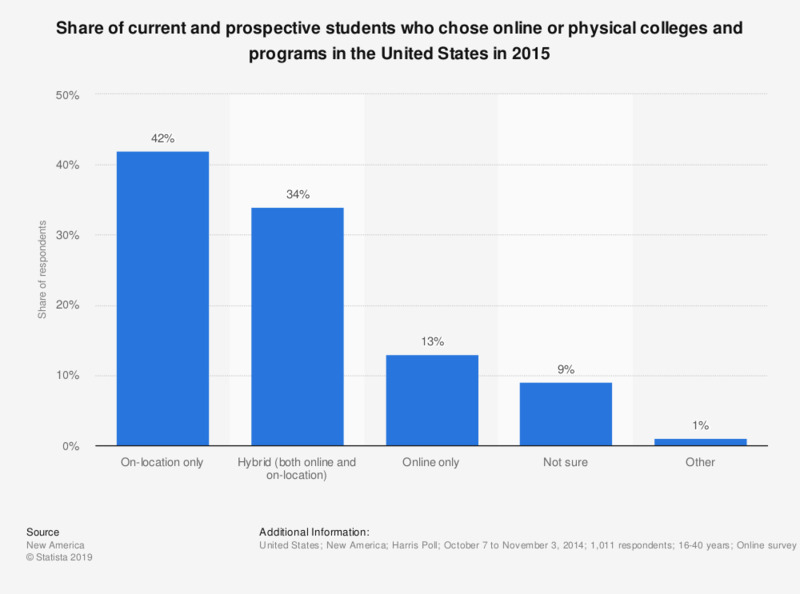 This statistic shows the percentage of prospective and currently enrolled students who chose to enroll in online and brick-and-mortar colleges and programs in the United States in 2015. In 2015, about 41 percent respondents chose to attend on-location colleges and programs in the United States. This question was phrased by the source as follows: "Which of the following best describes the type of college and program in which you are currently enrolled/ plan to enroll?"